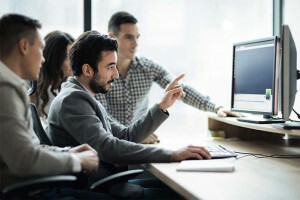 What is Product Reliability Testing? NTS performs product reliability hardware testing to ensure that the quality and durability of a given product is consistent with its specifications throughout the product’s intended lifecycle. This testing can be done at both the design and production levels. How Does the “Bathtub Curve” Relate to Reliability Testing? Generally speaking, the failure rate of a given product follows the familiar “bathtub curve” throughout its lifecycle. According to this prediction, there is a relatively high rate of initial failures soon after manufacture. This phase is known as the “infant mortality” or “wear-in” phase of the product lifecycle. This time period is when products with defects or flaws tend to fail. However, once the first phase of the lifecycle passes, there is a relatively low failure rate since only the products without flaws or those with corrected flaws remain in service. This part of the curve is often known as the “steady-state” phase of the product lifecycle. Following the “steady-state” portion of the lifecycle, the rate of product failures begins to increase until a relatively high rate of failure is achieved. This final portion of the product lifecycle is known as the “wear-out” phase. When the rate of failure is plotted on a graph over the lifecycle of a given product, the resulting curve resembles the cross-section of a bathtub. The most convenient way to engineer around the first part of the “bathtub curve” is to bring representative samples of manufactured products to early maturity (past the “wear-in” phase) by subjecting them to various stresses — including temperature, humidity testing, out-of-spec supply voltage, and more. At NTS, we bring products to early maturity via a burn-in chamber using various accelerated life testing methods. The intent is to bring weak or defective components past their point of early failure. If a unit fails during the burn-in process, engineers investigate the product for defective or incorrect parts. If the investigation identifies a real failure, the remaining production units produced with the failed unit undergo testing or repair. When used in the manufacturing process to test production output, a reliability test can measure the expected reliability of products or increase the actual reliability of products. NTS offers years of product reliability testing expertise to help you build better products by improving durability in the production process. More reliability and durability improves field performance, and increases consumer confidence and decreases warranty costs. All of this translates to increased profitability for your company. 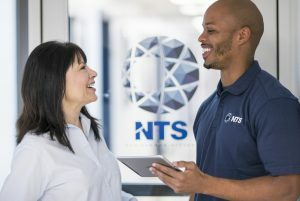 Besides offering reliability testing expertise, NTS can also help you identify viable and practical solutions to failures discovered during the testing process. To see what NTS can do to help your company reap greater profits with increased product reliability and durability, contact us today. We can help you find a product reliability testing program designed to meet your specific needs.